In the many years that Richard Weaver has been practicing bankruptcy law, he has helped; thousands of people to turn their lives around. Richard Weaver has represented thousands of clients in North Texas and through his experience, he has developed a great deal of care and concern for families. Bankruptcy law is what he does, and his record speaks for itself. Dallas bankruptcy attorney Richard Weaver earned his bachelor’s degree from Brigham Young University. He then earned his J.D. at the University of Houston. Mr. Weaver was admitted to the Texas State Bar in 1987. He has been happily married for twenty-five years, is a father of seven, and has donated thousands of hours to community service in the Dallas-Fort Worth area. When you contact Richard Weaver, you will probably get a return call from Mr. Weaver himself. He is happy to answer client questions regarding bankruptcy, to address their concerns, and to explore options with clients. He is always seeking to find a solution that meets or exceeds your expectations, and while this is not always possible due to the fact that bankruptcy simply does not provide the appropriate solution in all cases, he nonetheless seeks to help you with your goals financially and with getting a resolution to your legal and financial issues. Richard Weaver offers his clients hope, but he will always speak to you with honesty and candor about your financial circumstances. Richard Weaver takes pride in developing mutually beneficial relationships with his clients and by making certain that every client understands every aspect of his or her case. 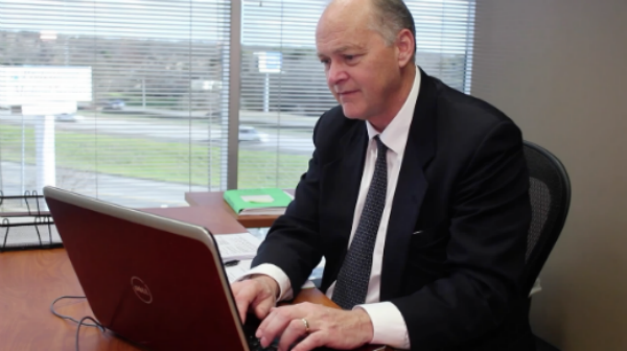 Dallas bankruptcy attorney Richard Weaver enjoys helping people and is always available to his clients. Mr. Weaver and his team will handle your case personally; you will never become just another case number. Richard Weaver maintains the highest professional standards; provides quality legal services at a reasonable cost; and works with all parties involved to bring your bankruptcy case or other legal concern to its best possible resolution. Contact Richard Weaver today and schedule a consultation by calling (817) 422-5929 or (214) 960-4125.